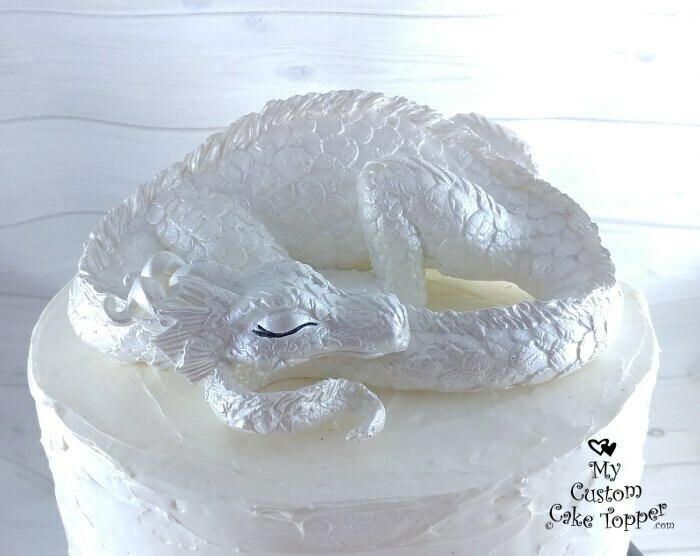 Beautiful realistic sleeping dragon sculpture. 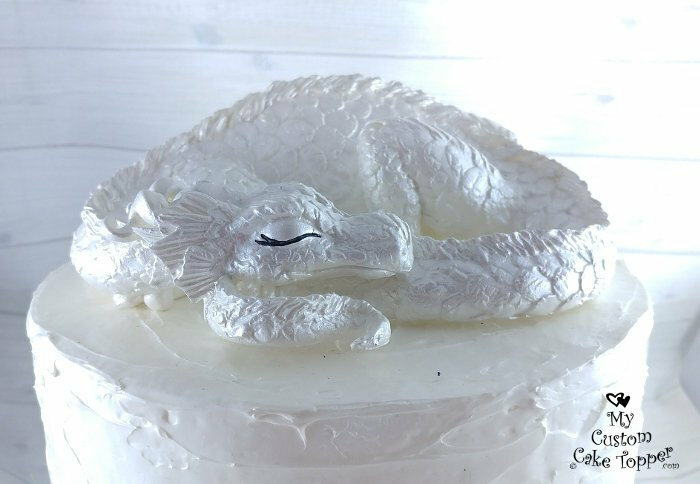 The perfect gift for the dragon lover. 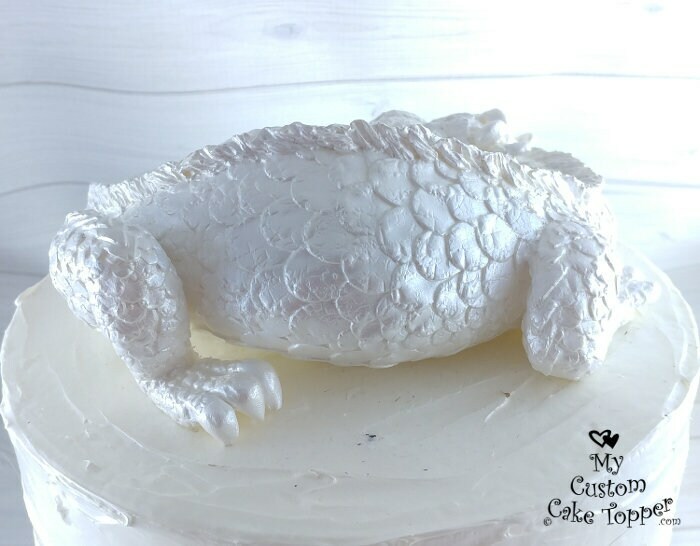 Works as a keepsake, sculpture, wedding cake topper, or mantle piece. This is an example of the exact dragon and pose you will receive. The dragon is 2.75" tall, 7" wide and 6" deep. 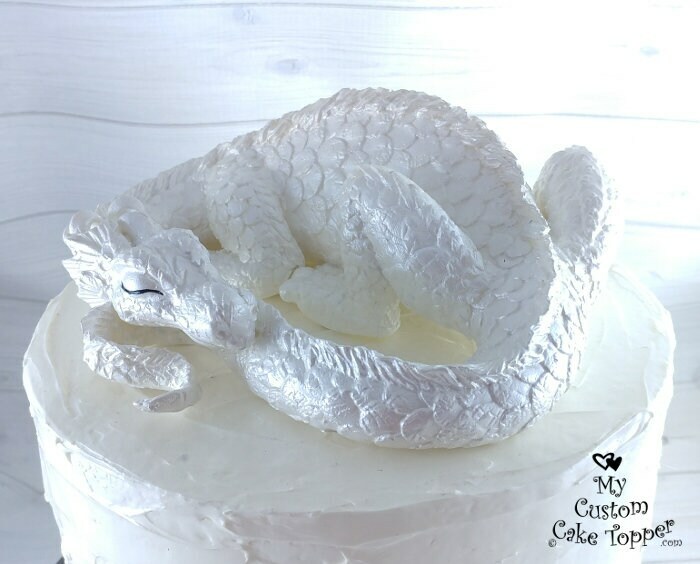 Our dragon sculptures are made from a durable resin and hand painted. You have the option of a DIY or paint it yourself (garage kit). The dragon will come to you cleaned up, prepped and primed in white. Then you can paint it yourself! We recommend acrylic paints and a protective coating when you are done. Message us for more details. 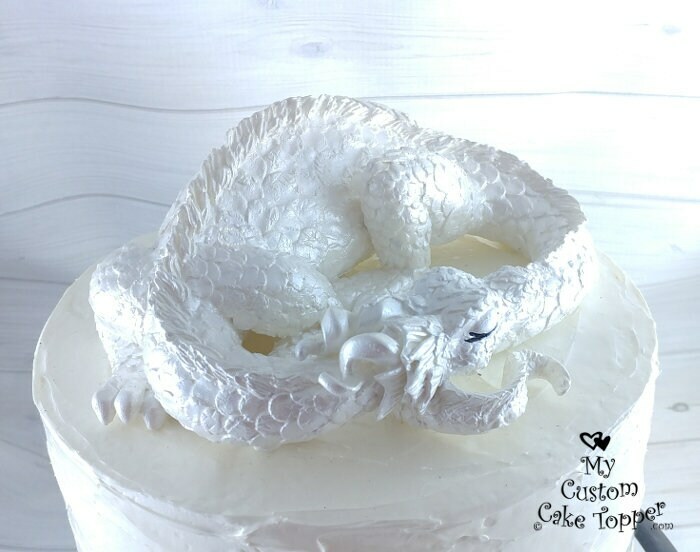 This dragon also comes in a solid color paint job, you can choose a matte, glossy, pearl or metallic finish (pearl and metallic come with a glossy protective coating). You can choose to have a solid color and one of the finishes dry brushed on top or a completely solid color. The example in the listing is a solid white pearl color with gloss finish. You can also have a completely custom paint job done, you can send us examples or just describe the look you'd like. 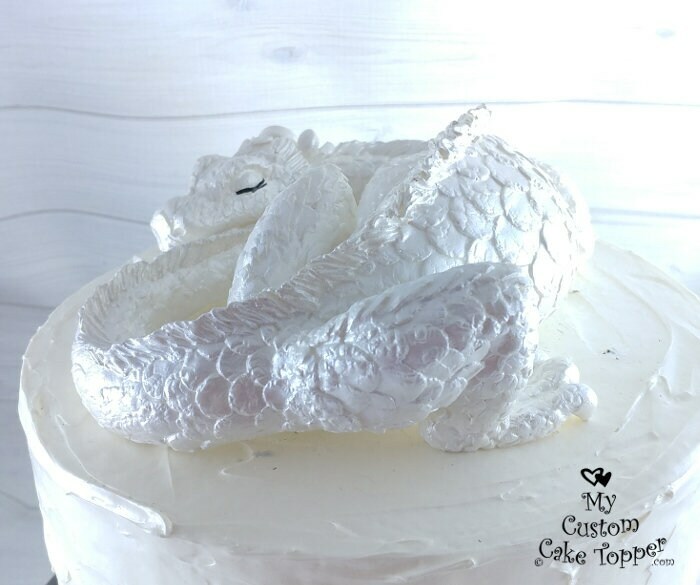 ♥ Color of Dragon (can send swatch) or photos of how you want it painted. If you have another size in mind or something special feel free to contact me for a price quote! 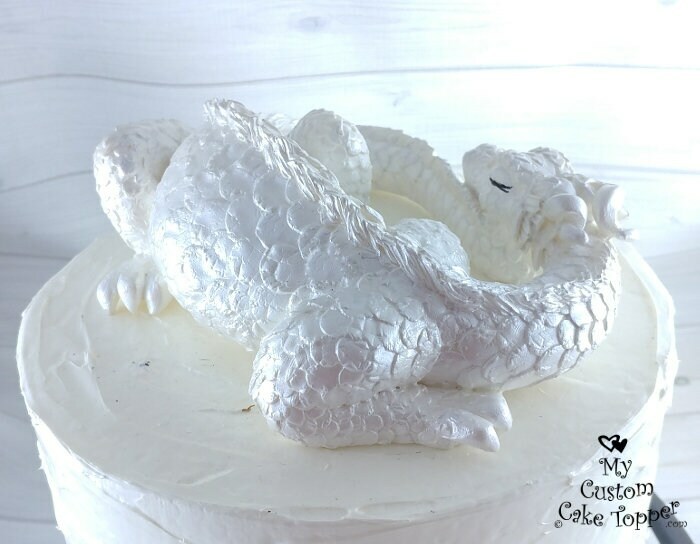 These amazing dragon is cast from my original sculpture, hand painted and detailed. Feel free to contact me about the estimated wait.